Get outside MYAN TAS camp was a great experience for me, we visited great places and we learnt many different things. In the first day we went to Snug waterfall, then Hastings caves and our leaders taught us about the different types of the trees and about the cave which were really interesting. Camp site was in Far South wilderness Lodge, while we were there we learnt how to work together and many other things. On the second day we went for a long walk in Hartz Peak. It was the best part of the camping for me, 8 kilometre walking to the top of the Hatrz Peak. Every one of us was responsible to lead the group in different parts of our walking. We came back from the Hartz Peak around 6 o’clock in evening. In the last day we went to Dover and we had some walks along the beach we took some photos, we also talked about the things that we learnt. Those 3 days were awesome. Besides having fun I learnt many thing particularly about leadership skills. The most important thing that I learnt about it was that being a leader doesn’t mean doing everything alone, it’s more about knowing how to give every one a responsibility in the group and share the tasks. Another thing that I learnt was that being friendly with the group members and get close them would make collaboration easier and it can help to keep the group members together in any excursion. 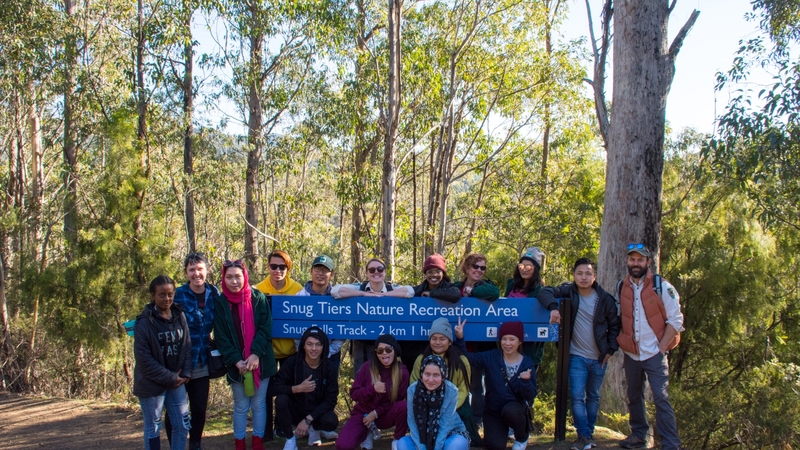 Last month the MYAN TAS Youth Advisory Group began their 2018 leadership activities in collaboration with Tasmania Parks and Wildlife Get Outside Program. Ten youth leaders joined previous Get Outside leaders for a weekend of adventure and leadership training at the Far South Wilderness Camp in Dover. The weekend was filled with adventure and challenges! Thanks so much to Tasmania Parks and Wildlife Service for extending this great opportunity to our leadership team.